The recent Marvel mini-event “Chaos War” has come to a conclusion and it seems that it was a good one for Alpha Flight “Classic” fans. 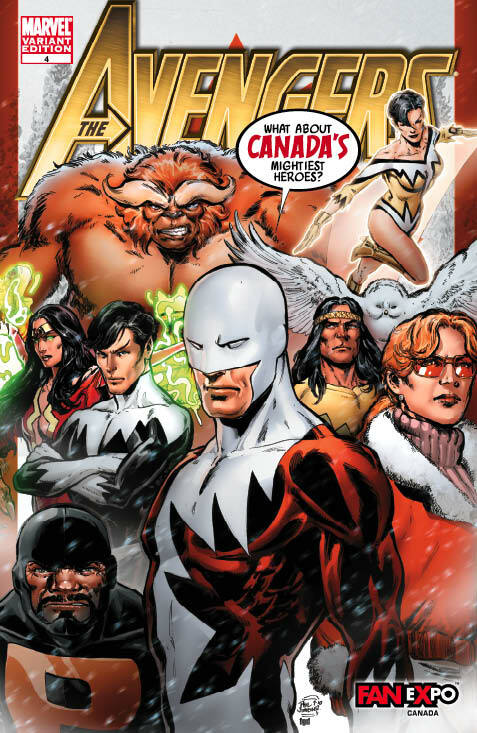 The Chaos War: Alpha Flight one shot revived Canadian superheroes GUARDIAN, VINDICATOR, SHAMAN and MARRINA. They returned to join NORTHSTAR, AURORA, SASQUATCH & SNOWBIRD. Unfortunately, at the end of the Chaos War #5 all of the formerly deceased heroes that showed up went back to their eternal reward with some exceptions: Greek demi-god and Avenger Hercules and the aforementioned Alpha Flight members. 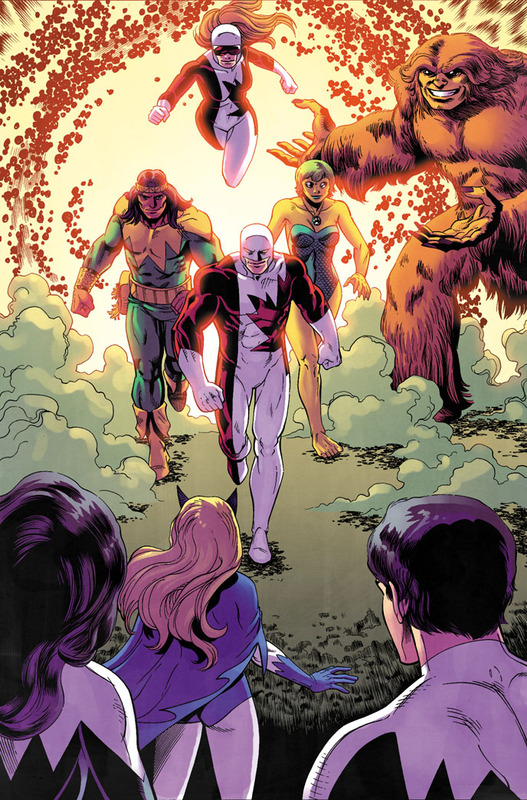 This sets the stage for an Alpha Flight revival using the classic characters created by John Byrne in the pages of the Uncanny X-Men and their own long-running series (also by Byrne, at least until issue #28). My sources tell me that some AF news from Marvel is imminent, and rumour has it that a high profile Canadian artist is involved. Meanwhile, diminutive hero and still dead AF member Puck is appearing in Wolverine in the “Wolverine goes to Hell” storyline. The limited edition Alpha Flight variant cover for Avengers #4 asked a valid question that seems to have been answered with the return of most of these characters. What's next? This entry was posted in 2011 Releases, Canadian Heroes, General News by Kevin A. Boyd. Bookmark the permalink. This was pretty interesting to see. Out of all the characters to not come back from the Chaos War, it was the ones who would be the least-bit impacting on the Marvel U. Regardless, it’s good for them to be home.